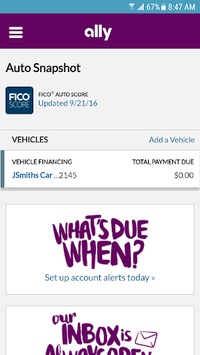 For Ally Auto customers, making your vehicle payment just got easier. Simply download the Ally Auto Mobile Pay app – a quick, simple and secure way to make your payment on the go. All you need is your Ally Auto online username and password. Don't have a username and password? Select “Enroll” in login screen to get started. Forgot username or Password? 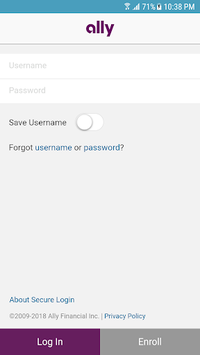 Select “Forgot username or password?” in login screen to retrieve. 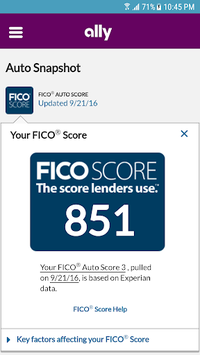 FICO and "The score lenders use" are trademarks or registered trademarks of Fair Isaac Corporation in the United States and other countries. ©2018 Fair Isaac Corporation. All rights reserved.